Addictive and Healthy: Sweet Potato and Parsnip Fries! I forgot to mention earlier, Happy Texas Independence Day! It’s been a great Friday so far. 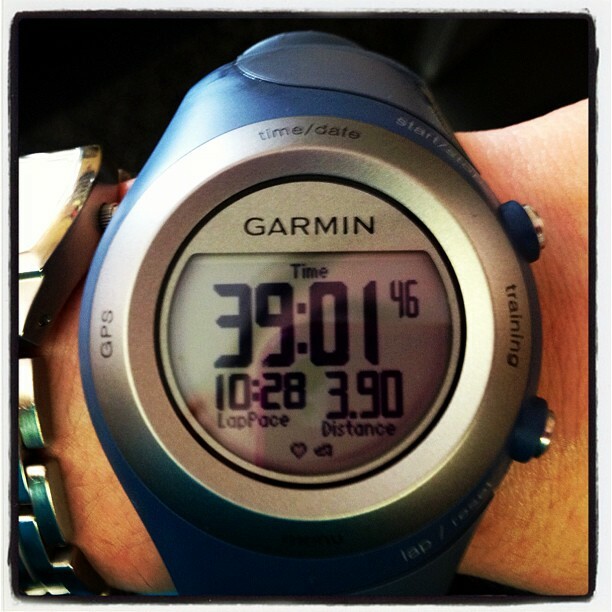 This afternoon I set a new run record – I ran 33 minutes without a walk break! And it felt fabulous! I may attribute my successful run to the new BIC Band I got in the mail yesterday. I was excited to sport it for my run today! BIC bands are essential to my runs these days. 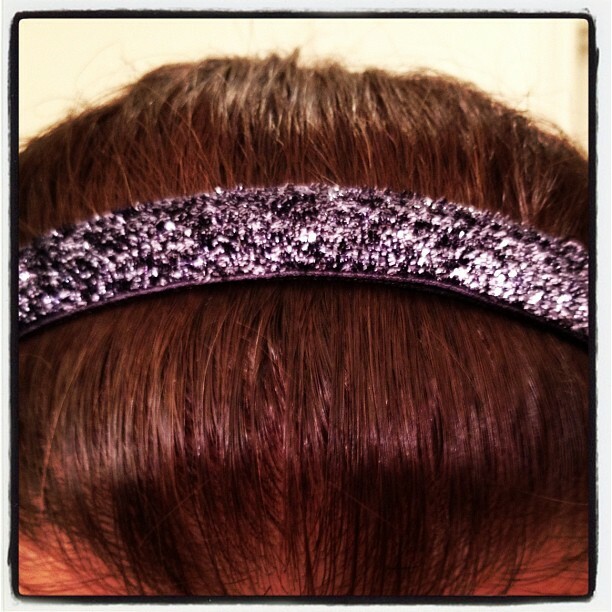 I love them because they stay put and keep my hair in place and they’re sparkly! 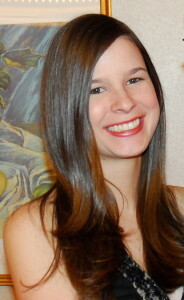 Wearing something sparkly just gets me more excited to run! I also love the motto for the company: Because I Can. Such a great mantra for working out! Most people take advantage of their health. I love reminding myself that I run because I can and there are tons of people who can’t and wish they could. After my run, I had a couple of spoonfuls of cookie dough dip 🙂 (the best way to eat it) and then a delicious spinach smoothie. If you’re looking for a healthy homemade snack to make – I’ve got a great one for ya! It’s also a great side dish for lunch or dinner. What is it? Sweet potato and parsnip fries! First, chop up your sweet potato and parsnip into fry shapes. *Important part! Soak your sweet potato for at least 1/2 hour in water. *Also important – dry your sweet potato with paper towels. Toss your sweet potato and parsnip with olive oil, spices, and *cornstarch (important!). Pop ’em in the oven (different baking times for each). Make sure they’re spread out. Parsnip fries will be done first. Then the sweet potato fries! 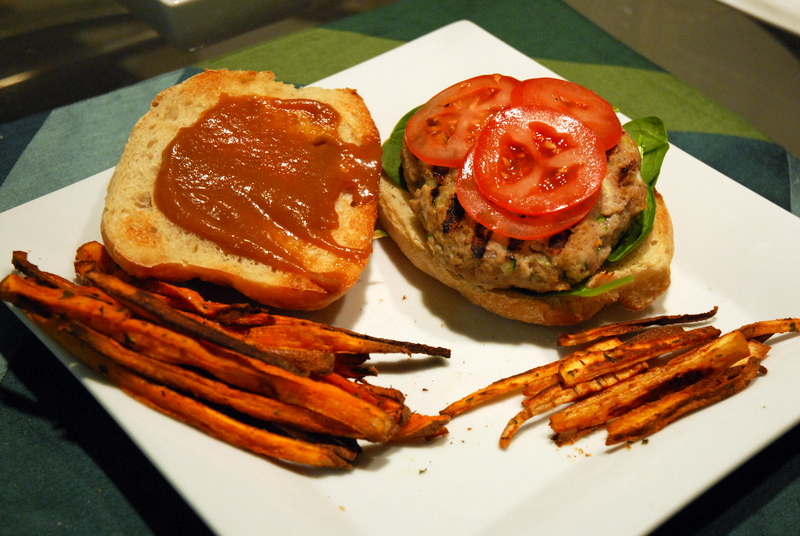 Enjoy as a snack or with a Tasty Turkey Burger! 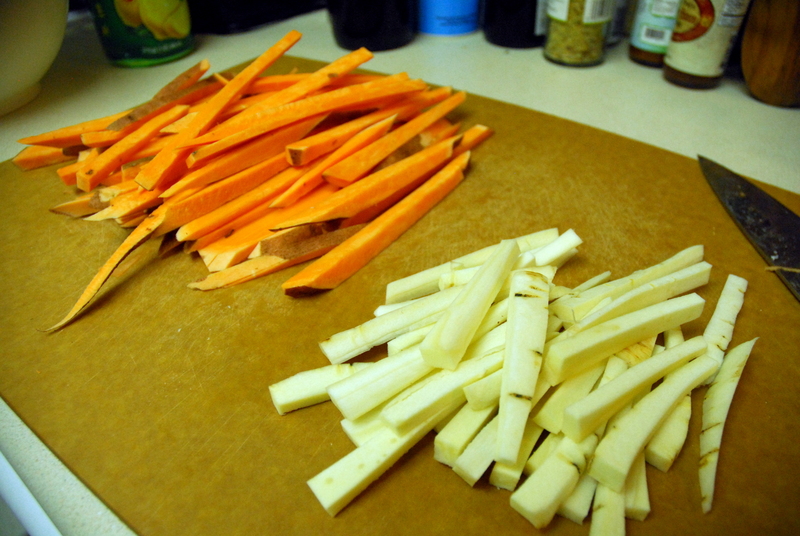 1) Slice your sweet potato and parsnip into rectangular pieces (size is up to you). 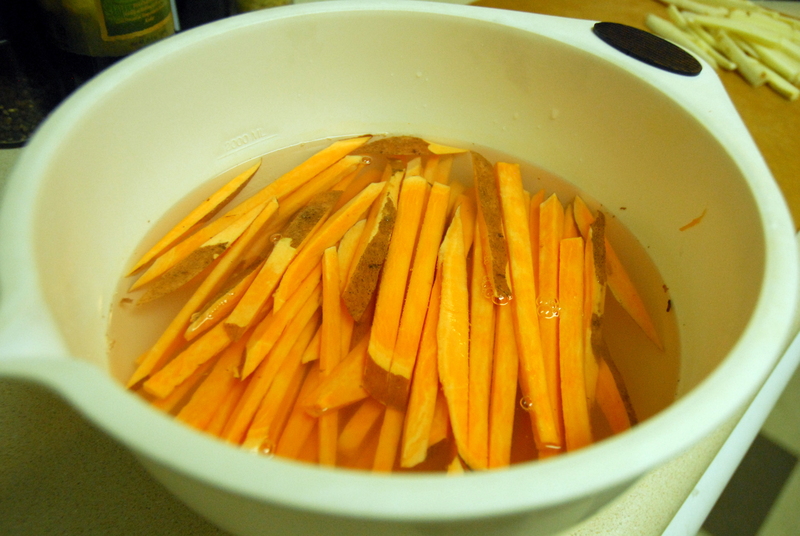 2) Soak your sweet potato in a bowl of water for 30 minutes. 3) Preheat oven to 425 and remove sweet potato from water. 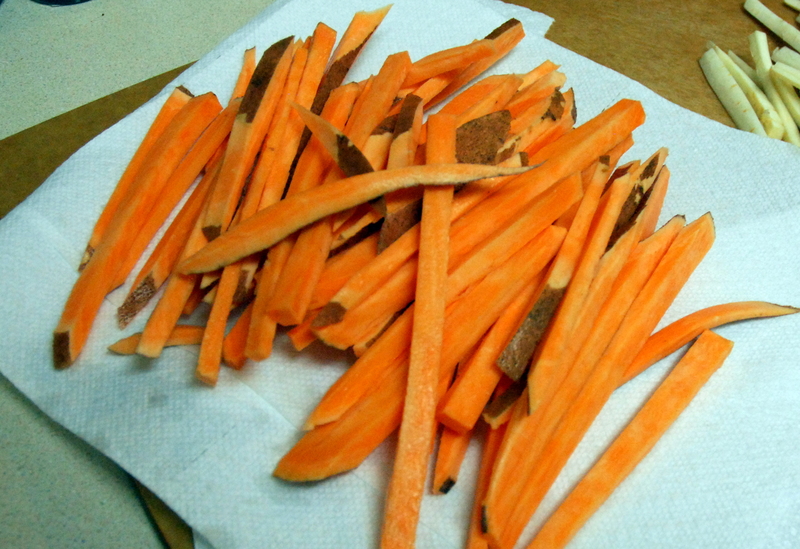 4) Dry your sweet potato slices with a paper towel. 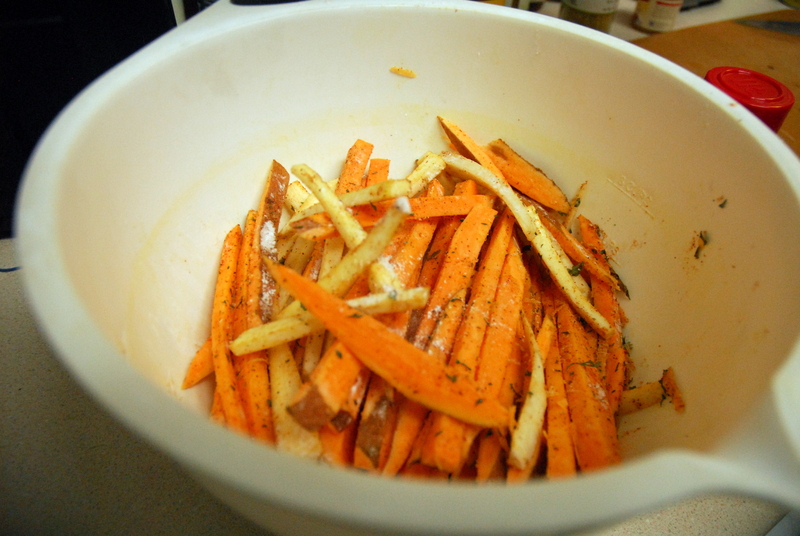 5) Throw your sweet potato and parsnip into a bowl and toss with olive oil, cornstarch, and spices. 6) Lay the veggies out on baking sheets, making sure they are spread out and not really touching. 7) Bake the parsnip and sweet potato for 15 minutes, flip, and bake another 15 minutes. 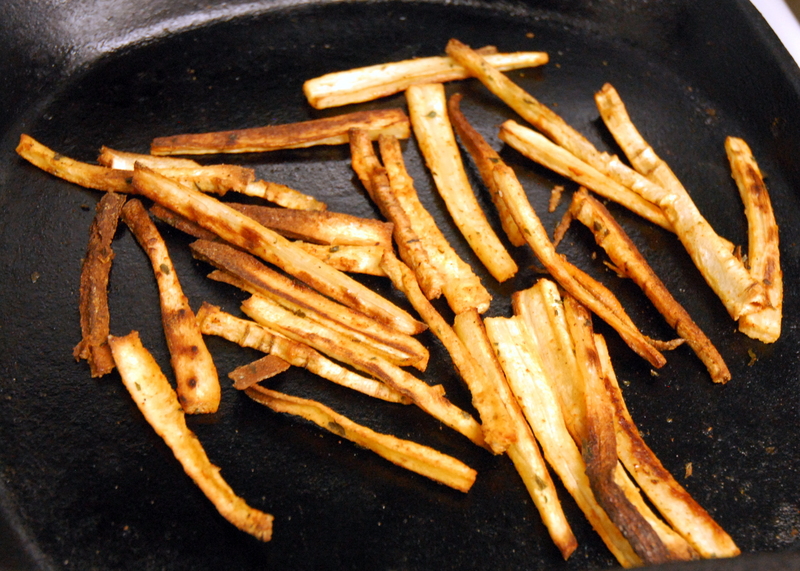 8) Take parsnip fries out of the oven after 30 minutes. 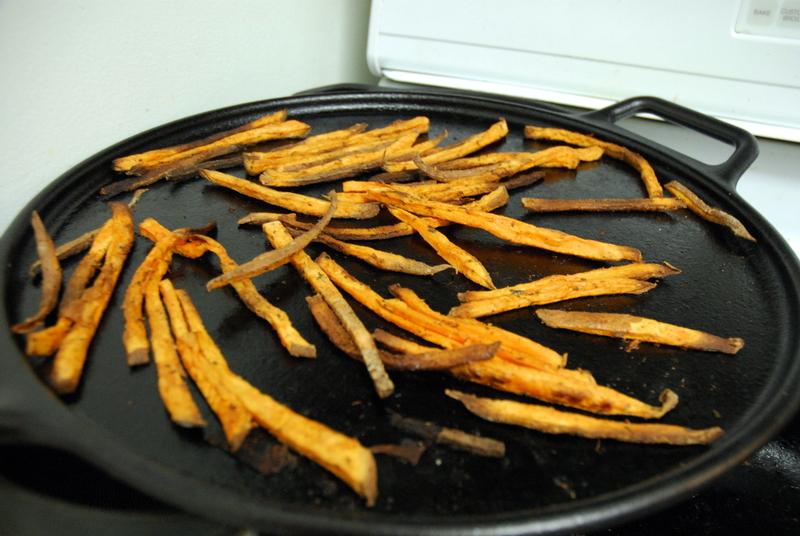 9) Bake the sweet potato fries for an additional 10-15 minutes. *Feel free to add whatever spices you like! Also, you may want to check the oven periodically to make sure none of the fries are getting too crisp or burning! This entry was posted in Recipes, Snacks and tagged fries, gear, parsnip, running, snack, sweet potato. Bookmark the permalink. 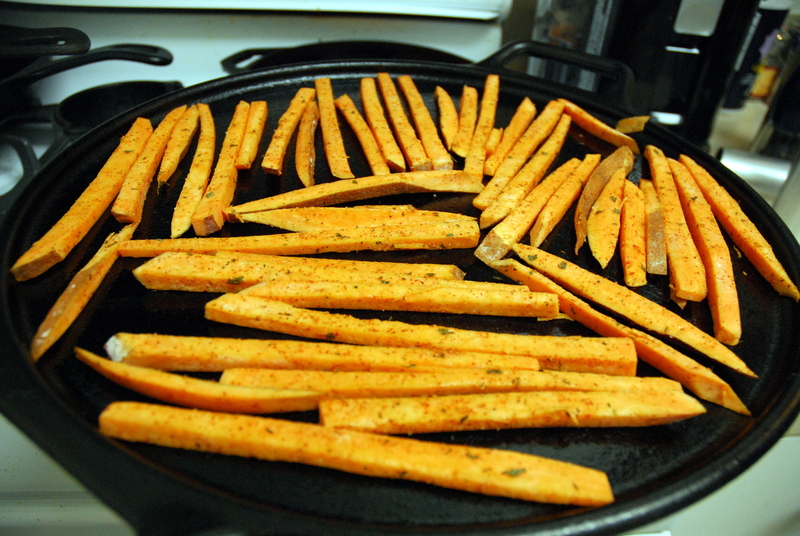 6 Responses to Addictive and Healthy: Sweet Potato and Parsnip Fries! These look good. Tell me how are they? I LOVE parsnips; it never would’ve occurred to me to make them into fries! These look good! 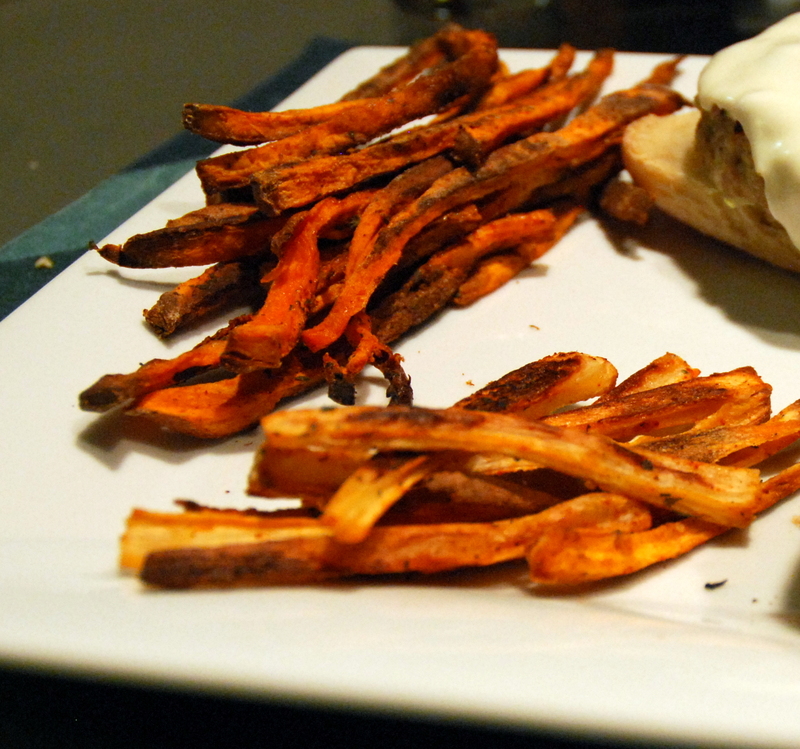 I love making sweet potato fries but have never tried parsnip. Looks great! I love your BIC band. I will have to check them out. I have heard a few bloggers love them.